When it comes to office space, Office Fitout Professionals is a company that can help. Based in Perth, and specialising in the construction of internal plasterboard and glass partitioning, their vast experience and extensive knowledge enables them to provide great service for every project – from conception to completion. The company launched in 2007, just as the global financial crisis began to unfold. Although the economy was looking bleak, Office Fitout Professionals’ business model helped to differentiate them in Western Australia. Unlike many of their competitors, they have access to their own factories, and manufacture their own office furniture and screen systems. Joern has been in the furnishing industry for most of his life. Originally from Germany, he previously worked with a company that mainly dealt with furniture furnishing projects in the Middle East. He spent about 13 years in Dubai working on office, corporate and hotel furnishing projects. He also worked for several German-based companies running branch offices for a period of time. “I relocated to Perth when the second Gulf War came along and went back into the same industry over here,” he says. By utilising the experience he amassed while abroad, Joern has led Office Fitout Professionals to a leadership position in the Western Australian market. A significant portion of Office Fitout Professionals’ clients are in the mining industry, though the company is ready and willing to cater to more than just mining clients. “We’ll take on whatever comes our way,” Joern says. Even if it’s small fitout, or just one office, Office Fitout Professionals is happy to bring their expertise to a project. Most of the company’s business – 90 per cent, in fact – comes from repeat customers. Throughout the duration of a project and beyond, Joern says he ensures they maintain a strong relationship. When a client needs more work done in the future, Joern wants Office Fitout Professionals to be the first company they call. 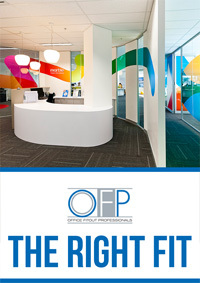 Office Fitout Professionals completes most of their work themselves, resorting to contract work only when necessary. When they do sub-contract, it’s mainly electrical, data, mechanical and hydraulic work. Another differentiating factor for Office Fitout Professionals is the positive relationships they enjoy with their 30 in-house staff members. Those strong relationships help them to keep their turnover extremely low, which is important to Joern and the company. They make sure each staff member is taken care of, and before someone new joins, they make sure they fit in with the existing staff. “We’ve pretty much got all the guys who’ve been with us since the beginning. They’re still here and they still want to be here,” he says. 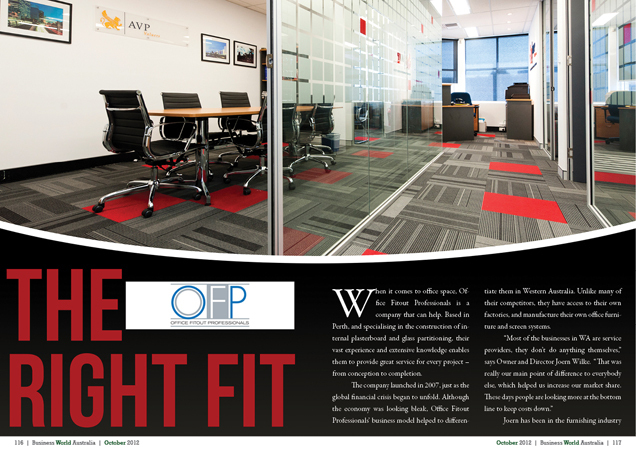 One of the recent challenges for Office Fitout Professionals has been an increase in competitors. One of the biggest concerns stems from the shopfitting industry. Numerous shopfitters have “had their backs against the wall,” leading them to jump ship into Office Fitout Professionals’ industry. 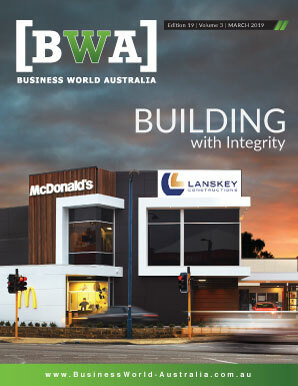 The challenge is also territorial – companies move to WA from the eastern states to try and take a bite out of Office Fitout Professionals’ market share. This is where existing relationships and repeat business helps them remain on top, however. The final obstacle has been the ongoing uncertainty in the global market, which has led the company to put the brakes on growth at this time. Instead, Joern says, they will focus on improving their processes and consolidating their position in the market. Their short-term goal is to maintain their size and staff levels without making any significant changes to the business. “Then it’s upwards and onwards from there,” he says.